Even when things are going well personally and professionally, you can't work on protective mother issues without regularly receiving a cruel jolt of reality from the broken court system. I just received such a jolt with the mistaken conviction of a protective mother for perjury regarding her complaints about her abuser's assault. Surely the jury could have made a better decision if they could have been told of the context that courts routinely fail to recognize domestic violence and avoided the myth most people have heard that women frequently make false allegations of abuse. This is a classic case from the Binghamton area of New York that I used as an example of common mistakes in the custody courts in my chapter for our book. In the chapter by Judge Thomas Hornsby, he explained how in his 19th year on the bench he learned the right way to respond to certain kinds of petitions for protective orders. It takes a great deal of courage and integrity to acknowledge this need for further learning, particularly in domestic violence cases. Instead, the judge in Binghamton said he had been on the bench for fifteen years and didn't need to hear the testimony of a domestic violence expert (me). He then sent the children to live with their abusive father. The mother in this case has spoken of the high price she must pay for trying to protect her children. She had suffered the loss of her children and knowing they are continuing to suffer abuse. She has been ruined financially and for the second time faces bogus criminal charges and jail. And so in honor of this dear friend and all the too many other mothers in similar circumstances, I would like to propose legislation to make it safe for battered mothers and their children when they come to court. Repeatedly, protective mothers come to court confident that the judge and other court professionals will protect them from their abusers, since the evidence as far as the well-being of the children is so clear. And repeatedly, the inadequately trained court professionals, relying on outdated information and discredited practices, most of which were adopted 30+ years ago at a time when no research was available, instead helps the abuser to maintain control over his partner and to punish her for revealing his abuse. For years we have debated solutions to these repeated tragedies, but before any reform is possible, we must make the courts safe for battered women and their children. While findings do not have the force of law, they do explain the purpose of the law and the intent of the legislature. It is totally appropriate and advisable for attorneys and protective mothers to cite such findings in support of their interpretation of the law, and such considerations should be persuasive. The findings should state very directly that the present court response is working poorly for women and children in domestic violence custody cases and that the intent of the legislature is to create fundamental changes in the way courts respond to such cases. The intent of the legislatures when they passed laws requiring courts to consider domestic violence in custody and visitation decisions was for the courts to take domestic violence seriously, based on the research that demonstrated the severe harm to children of witnessing abuse, but the outdated and discredited practices widely used in the court system have undermined the courts' ability to provide the protections and safety the legislatures thought they were creating. The courts frequently fail to recognize valid complaints about domestic violence. Court professionals often do not have adequate training in domestic violence and often rely on mental health professionals who have little or no training or understanding about the dynamics of domestic violence. There are many normal behaviors by battered mothers that inadequately trained professionals use to discredit allegations of abuse that are not probative. At the same time courts often limit their focus to physical abuse and fail to use the evidence available to recognize the pattern of controlling and coercive behavior. Best practices require that professionals without extensive training in domestic violence (which is almost all of the professionals used in the custody courts) should consult with domestic violence advocates or other experts. Courts rarely use such best practices, and many judges, like the judge in the Binghamton case, mistakenly believe that several years on the bench is an adequate substitute for genuine expertise and familiarity with up-to-date scientific research. The courts' response to allegations of child sexual abuse is particularly harmful. Sexual abuse is hard to prove because, for obvious reasons, there are rarely any witnesses except for the child. Young children may not have the language to describe what happened; older children are often reluctant to reveal the abuse because of threats or just out of loyalty to their abuser. Inadequately trained professionals often expect physical proof, but many forms of sexual abuse leave no physical evidence, and the delay before a child reveals the abuse may cause physical evidence to be unavailable. These professionals often expect children to discuss very painful and embarrassing events without taking the time to create a trusting relationship and to use play therapy or other techniques that work best with younger children. Experts know that children often recant valid complaints, but recantations are routinely treated as if they were convincing proof the mothers made deliberately false reports. In an attempt to treat all parties fairly, courts often believe they must treat the parties the same. This is often expressed in the view that when parents come to court they must be treated equally. What is left out is any consideration of PAST PARENTING PRACTICES.. There is a difference between men and women, particularly in a society that continues to provide unearned yet often invisible privileges to men. Considering the differences between men and women is not unfair to men, but failing to consider them is unfair to women. The refusal of courts to speak of these differences, despite widespread gender bias confirmed by commissions sponsored by courts in over forty states and other research, results not in fairness or equality of how the courts treat the parties but in a huge advantage to men, especially abusive men. Probably the biggest advantage given to fathers in custody cases stems from the widespread myth that women frequently make false allegations of abuse. A recent Department of Justice Study led by Dr. Daniel Saunders shows that evaluators with little training in domestic violence tend to believe this myth and thus make recommendations that work poorly for children. Of course, these false assumptions are often hidden from the judge, but if we don't speak openly about the difference between men and women, the biases in favor of men will continue to make the courts unsafe for women and children. At the same time, studies, particularly one led by Nicholas Bala, establish fathers in contested custody cases are sixteen times more likely than mothers to make false allegations against the other parent. I want to be clear that this is not to say women in general are more honest than men; rather, this is limited to what goes on in contested custody cases. A large majority of fathers in such cases are abusers who are using the custody tactic to maintain control over former partners. It is based on the belief that she has no right to leave, so therefore, the use of any tactic, including raising false allegations, is justified. This is particularly important for prosecutors and child protective workers to realize, so that they don't place the resources and authority of the government on the side of abusers. This problem is particularly exacerbated by the ability of abusers to manipulate other people, including professionals. Those who believe they have the ability to tell who is lying just by observing them are at even greater risk of being manipulated. One of the fundamental mistakes made by the court system is treating contested custody cases as "high conflict," which implies that both parties are acting out their anger towards the other party through the children. In fact, most of these cases are domestic violence cases. The courts have adopted a lot of practices designed to encourage the parents to cooperate and to bring the parties together. Abusers love this, because it means forgetting about past history (his abuse) and gains him access to his victim. When mothers resist cooperating with someone who has hurt her and her child, she is viewed as unfriendly and often is severely punished. This is a prime example of blaming the mother for the actions of the father, something repeatedly uncovered by the state gender bias reports. The research establishes that the only methods that have been shown to change abusers' behavior are accountability and monitoring, but the courts, which are not used to looking to up-to-date research for answers, are doing just the opposite. One of the problems in the court system is that the standard "best interests of the child" standard is subjective and often leads to focusing on less important issues. Most states have laws or case decisions that enumerate issues the court must consider in deciding custody and visitation. Courts often focus and decide custody based on cooperation between the parties, negative statements about the other parent, financial considerations, quality of the house or apartment or other similar issues. It is not that these are not valid issues that should be considered in appropriate cases, but too often these kinds of issues trump issues that are vital to the well being of the children. The first priority must be the safety of the children. DUH! It is frightening how often this is not the priority. When there are safety issues, we need a risk assessment rather than a traditional evaluation that focuses on less important issues and often doesn't have the understanding to recognize the risks. The second priority should be arrangements that give children the best chance to reach their potential. It is hard to imagine anyone seriously objecting to these priorities, but it is not what the courts are doing today. The research about primary attachment is not controversial. Whichever parent provides most of the child care during the first couple of years of the baby's life is the primary attachment figure and this does not change even if the living arrangements do. A child separated from their primary attachment figure is at greater risk of depression, low self-esteem, and suicidality when older. It cannot be right to impose these risks on a child unless the primary attachment figure presents a safety risk, such as someone who is a drug addict or beats the child. Negative statements about the other parent do not pose such a safety risk and have not been shown to create the long term harm of losing the primary attachment figure, but courts routinely place more emphasis on negative remarks because they have been taught to view the cases as "high conflict." The range of harm to children from witnessing domestic violence is even greater. Such children are at increased risk for engaging in a wide variety of dysfunctional behaviors that can ruin their lives. Furthermore, domestic violence is based on a belief system so the end of a relationship is not likely to make the abuser safe. He will probably abuse future partners, so the children will witness further domestic violence if he is given custody or unsupervised visitation. Training in domestic violence for court professionals has been a common component of the courts' response to domestic violence for many years, yet still the courts are getting a large percentage of domestic violence cases spectacularly wrong. Many judges and other professionals don't attend such trainings or don't pay attention out of a belief they already know everything or hostility to the topic. Too often the trainings have included misinformation that makes the situation worse while creating the illusion of addressing the problem. The research that shows the frequency with which fathers in contested custody cases kill their children, often with the unintentional assistance of the court, or receive custody and unsupervised visitation despite a history of abuse ought to create an urgency for changing the status quo. The Safe Court Act must provide for the retraining of judges and other court personnel. Common misconceptions like the myth women frequently make false complaints, domestic violence ends when the parties separate, children are unaffected by witnessing abuse and mistaking domestic violence cases as "high conflict" must be addressed and corrected. Then, instead of general domestic violence training, specific topics must be taught including Recognizing Domestic Violence, Gender Bias, Effects of Domestic Violence on Children, Critical Thinking About the Use of Mental Health Professionals and More Appropriate Responses to Allegations of Child Sexual Abuse. Finally, such trainings should be sponsored or co-sponsored by an organization whose primary focus is ending domestic violence. At the start of the movement to end domestic violence, the focus was mostly on physical abuse. But the harm to women and children is not limited to physical abuse, so there is no reason to limit the definition of domestic violence when making custody decisions. Domestic violence should be defined as a pattern of intimidating, controlling and coercive tactics by one party designed to permit that party to control their partner and make the major decisions in the relationship. These abusive actions result in the victim becoming afraid of the abuser. Domestic violence experts are clear that in cases involving domestic violence as defined above, the best outcome for the children is custody for the non-abusive or less abusive parent and at least initially supervised visitation for the abusive parent. While many states have a presumption for this child-friendly outcome, too often it is limited by higher standards of proof or level of abuse. The harm to children is not limited to what is considered more severe abuse so there is no reason to continue such limitations on protecting children. Particularly harmful to children is the common practice where the court fails to confirm the mother's allegations of abuse and then punishes or retaliates against the mother if she continues to believe the father is dangerous despite the court's finding. We found that when the court confirms a father's abuse, it does not further penalize him for continuing to deny his abuse, even though his continued denial is far more harmful than the mother's expressed fear of the father. This practice is bad because of the frequency that courts fail to recognize valid allegations of abuse; the harm of taking the primary attachment figure out of a child's life is far more harmful than any benefit the court thinks it is creating. The law must provide that parents will not be penalized for good faith allegations, and the practice of denying children a meaningful relationship with safe, protective parents must be discouraged. Abusers tend to control the family finances and often use the family resources for legal and other resources while denying the same benefits to the victim. This is exacerbated by a common abuser tactic of using aggressive litigation strategies to bankrupt the victim. Courts must be encouraged to act more assertively to level the playing field by making the person controlling the family funds also provide funds for the other parent's legal needs. This will lead to fairer outcomes and discourage excessive litigation, since the abuser doesn't benefit from excessive motions if he has to pay for both lawyers. The research is very clear that women rarely make false allegations of abuse. They do so only one or two percent of the time, but there is a widespread myth that abuse claims are frequently false. At the same time, fathers involved in contested custody cases are sixteen times more likely to make false allegations. Prosecutors, in particular, need to be trained about this common tactic so that they can avoid being manipulated to help an abuser continue his abuse as the prosecutor in the Binghamton case mistakenly did. Similarly, child protective workers, lawyers and judges need training with this information. We have seen many child protective workers refuse to investigate allegations by mothers involved in contested custody cases on the (false) assumption she is trying to gain an advantage in the litigation, but take seriously (false) allegations by fathers involved in contested custody. Obviously, each case must be investigated separately, but they need to be familiar with the research so they can understand the context. Many communities have developed practices where child protective agencies work together with the local domestic violence agency. They cross-train each others' staffs and when child protective caseworkers have a case that may involve domestic violence, the worker consults with a domestic violence advocate. This has resulted in a greater ability to recognize domestic violence and respond in ways that benefit children. This should be considered best practices. Similarly, ethical considerations require psychologists and psychiatrists to consult with experts in areas they are not familiar with. Few court-appointed mental health professionals are experts in domestic violence but they rarely consult with domestic violence advocates or experts and courts do not discredit them for failing to do so. The law should require such consultations which must be understood as best practices. The research shows the widespread use of mental health professionals in contested custody cases is problematical. Psychologists rely on psychological tests that were not created for the populations seen in custody courts and are based on probability, so that under the best of circumstances the results apply to only 55-65% of the parties, but this percentage is even lower in cases involving domestic violence. Frequently, we see mothers discredited because of results that show defensiveness, fear and other normal reactions to their partner's abuse. When courts fail to recognize the abuse, mothers are pathologized as paranoid or delusional when there is no pathology in other parts of their lives. Accordingly courts must use much more critical thinking in the use of mental health professionals. This expense and delay should only be used when there are genuine mental health issues involved in the case. In cases involving allegations of domestic violence or child abuse, a risk assessment using probation or other investigators and domestic violence experts familiar with lethality risks would be more useful. Courts can save substantial time and money by having an early evidentiary hearing on allegations of domestic violence. The sole issue is whether the allegations are valid. If they are, the non-abusive or less abusive parent receives custody and the abuser initially receives supervised visitation. There is no need for evaluations, GALs or the consideration of less important issues that often distract attention from issues that most affect children. Cases that now take many months or years can be resolved in a few hours and children will quickly know who they will be living with which allows them to start the transition and healing process more quickly. We have a court system that is failing to protect battered mothers and their children because they are relying on outdated and discredited practices and beliefs that were developed at a time when no research was available. Every year, the custody courts are sending 58,000 children to abusers for custody or unprotected visitation. And every year abusive fathers involved in contested custody cases kill at least one hundred precious children, often with the unwitting assistance of courts using these standard flawed practices. Legislators and judges cannot justify continuing practices that are working so badly for our children and must operate with an urgency to reform the broken system. These outdated and discredited practices have allowed abusers to enlist the court system to help them maintain control over their victims after they try to leave and in many cases courts continue the abuse by punishing mothers trying to protect her children. We have examined thousands of disturbing cases like the one in Binghamton where safe protective mothers are severely punished in retaliation for attempting to protect their children. The mothers lose custody and often are restricted to supervised or no visitation. They face financial ruin, court sanctions, contempt and even jail. Many prosecutors like the one in Binghamton are manipulated by abusers to bring bogus charges against protective mothers. A review of these extreme outcomes demonstrates that these decisions are almost always wrong. Urgently, we need a law to make it safe for protective mothers to come into our courts. Our courts and our laws were designed to provide safety for battered women and we must make this true in practice instead of just theory. We must make sure that the court system can no longer be used and manipulated by abusers to retaliate and punish mothers for the crime of seeking to keep their children safe. WHEREAS, As a result of these and many other common mistakes and outdated practices, the court system has made it unsafe for protective mothers and their children to seek assistance of the courts to protect them from abusers. This law is designed to change the failed practices in order to make sure victims of abuse will be safe in our court system and not subject to retaliation for trying to protect themselves and their children. 1. Definition: For purposes of custody and visitation determinations and consistent with the harm caused to children in witnessing domestic violence, domestic violence are tactics one intimate partner engages in against the other intimate partner. The purpose of the tactics is to coerce, intimidate and control the abuser's partner so that the abuser can make the major decisions in the relationship. Domestic violence is not limited to physical assaults and includes emotional, psychological, financial and litigation abuse. Most domestic violence is legal, but effects children negatively so that the courts should consider these tactics. Domestic violence also includes tactics to isolate the victim from friends, family and professionals who might provide support and assistance. Context is critically important in understanding domestic violence and acts that look the same may be very different because of the context and affect of the tactics. Court professionals must look at the pattern of domestic violence tactics in order to recognize domestic violence and consider which partner is afraid of the other partner as a result of the abusive tactics. 2. The best interests of the child: The first priority in custody and visitation decisions shall be the safety of the child. Risk assessments and lethality studies are more useful in considering a child's safety than traditional evaluations. The second priority in custody and visitation decisions shall be arrangements that give the child the best opportunity to reach their potential Research establishing the long term harm for children who witness domestic violence or to be separated from their primary attachment figure provide the kind of information needed to properly consider what arrangements are most likely to help children reach their potential. 3. Any court considering custody, visitation, orders of protection, criminal, tort or any other issues that involve a determination of whether domestic violence was committed or the proper response to domestic violence shall look at the specialized body of knowledge and research available such as contained in DOMESTIC VIOLENCE ABUSE and CHILD CUSTODY, co-edited by Mo Therese Hannah and Barry Goldstein, THE BATTERER AS PARENT, written by Lundy Bancroft and Jay Silverman, the Department of Justice Study led by Daniel Saunders, the many books and articles cited in these works, and other similar examples of scientific research about domestic violence particularly in the context of child custody. If a court uses expert testimony or reports in such cases, such experts shall be expected to be familiar with this up-to-date research about domestic violence. Such experts will either possess substantial expertise about domestic violence or consult with someone who has such expertise. 4. Any court professionals with responsibility for cases that involve issues related to domestic violence shall undergo retraining concerning domestic violence. Such retraining will include information about common mistakes made as a result of using the common outdated and discredited practices used in custody and other courts and the harm such practices have caused. The retraining will also focus on avoiding common myths about domestic violence such as the myth women frequently make false allegations to gain an advantage in litigation, that abusers are no longer dangerous after the relationship ends, that only physical abuse affects children and that children always do better with both parents in their lives. The new training shall include how to recognize domestic violence, gender bias, the effects of domestic violence on children, critical thinking in the use of mental health professionals and appropriate responses and practices regarding allegations of child sexual abuse. The required training shall be sponsored or co-sponsored by an organization whose primary function is working to end domestic violence. 5. Based upon the serious harm witnessing domestic violence causes children, most experts recommend that where courts find by a preponderance of the evidence that one party has engaged in a pattern of coercive, intimidating and abusive behavior, the non-abusive or less abusive parent shall receive custody of the children and the abusive parent shall at least initially be limited to supervised visitation. In custody cases in which there are allegations of domestic violence, the court will quickly schedule an evidentiary hearing limited to the issue of domestic violence. There is no need for the appointment of an attorney for the children or an evaluator as the hearing is limited to whether or not the allegations of domestic violence are true. 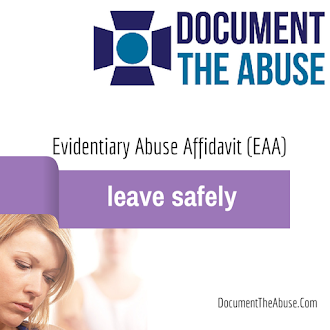 If the allegations are proven by a preponderance of the evidence the non-abusive or less abusive parent shall receive custody and the abusive parent shall initially receive supervised visitation. If the allegations of domestic violence are not proven by a preponderance of the evidence, the court shall remain open to later additional evidence which taken together with the earlier evidence becomes sufficient to establish the allegations of domestic violence. 6. The available scientific research establishes that the only responses that have been shown to change abuser's behavior are accountability and monitoring. Accordingly, anger management, therapy and substance abuse treatment shall not be used in response to abusive behavior, but may be used for other problems. When the court orders supervised visitation in response to a finding of domestic violence, in order to be considered by the court for unsupervised visitation, the offender must complete a batterer program, acknowledge responsibility for the abuse, promise never to commit domestic violence again and express to the children the wrongness of the abusive behavior. If the offender is granted the privilege of unsupervised visitation and commits any further acts of physical abuse to a partner or children, the unsupervised visitation shall be permanently ended. 7. While both parties should always be treated fairly, there are substantial differences between mothers and fathers and the attempt to treat both parties the same by ignoring these differences has led to widespread mistreatment of protective mothers in custody cases. Numerous flawed surveys by researchers unfamiliar with domestic violence have sought to gauge the relative abuse by men and women by counting the hits. In doing so they have missed the fact that men are generally bigger and stronger, hit harder and cause more serious injury. They have missed the fact that men and women hit each other for different reasons. Men hit to maintain control and to make the major decisions in the relationship and women hit in self-defense and to stop his abuse. There are exceptions, but these are the most frequent reasons. Most important it is very common for women to be afraid their partner will hurt or kill her so that she will do what he wants and it rarely happens that men are similarly afraid of female partners. When courts equate a woman's assault in anger and frustration from a long history of abuse with the man's assault as part of a long pattern of coercive and intimidating behavior they misunderstand the case. Similarly in our still sexist society women tend to do most of the child care and are usually the primary attachment figure. When courts ignore these circumstances in an attempt to treat both parties equally, they actually discriminate against the mother. Similarly practices that punish women for their anger or emotion after being abused or allow themselves to be manipulated by abusers further give unfair advantages to men. This is why gender bias committees appointed by courts in over forty states have found widespread favoritism towards men. Courts must be conscious of the difference between men and women and strive to avoid gender bias. As gender bias is often invisible to those engaging in it, judges shall encourage litigants and professionals to express concerns about gender bias and avoid retaliating for such complaints. 8. Financial control and abuse is often an important part of the pattern of abuse. Abusers often maintain an unfair advantage in court by virtue of having control of the family resources. This is often compounded by aggressive litigation strategies designed to bankrupt the victim. Courts shall take appropriate actions to level the playing field so that if one party is using family assets to pay legal and other fees, or has access to other resources, that party shall pay similar expenses for the alleged victim's legal fees. 9. The courts shall use more critical thinking in determining whether to use mental health professionals as experts and to limit them to their areas of expertise. 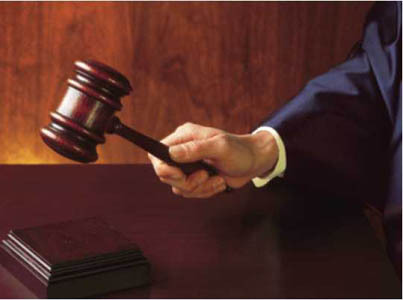 Courts shall not routinely appoint mental health evaluators in all contested custody cases. Such appointments shall be limited to cases where there is credible information to suggest one of the parents has a mental disorder that may interfere with the care of the children or other issues that require mental health expertise. Psychological testing was not created for the populations seen in custody court and shall not be used to make determinations about domestic violence. In cases involving allegations of domestic violence or child abuse, if courts require a professional investigation they shall use risk assessments and lethality studies rather than evaluations. 10. The only profession that works full time on domestic violence issues is domestic violence advocates. It is the policy of this state and of the courts to work to prevent domestic violence. Accordingly domestic violence advocates shall be treated by the courts as a community resource and not as if they were partisans. Communities that have programs where child protective agencies and domestic violence organizations work together have proven that consultation with domestic violence advocates helps the caseworkers recognize domestic violence and make recommendations that work best for children. Court professionals shall consult with domestic violence advocates when considering cases with allegations involving domestic violence. 11. The myth that women frequently make false allegations of abuse is unsupported by valid scientific research, but has been relied on by unqualified professionals in ways that place children in danger. The courts shall discredit any professionals who rely on this sexist myth and avoid appointing them to represent children or conduct evaluations or other services. Any theories based on this myth shall also be discredited. 12. The use of "friendly parent" theories has proven harmful to children because of its frequent use in domestic violence cases. This theory shall never be used in cases involving allegations of domestic violence. Any use of this theory must be modified so that the "unfriendly behavior" applies not just to actions that mothers would be more likely to engage in but also to behaviors more likely to be committed by fathers. Actions like failure to pay child support, failure to cooperate on immigration and visa issues, refusal to supply medical insurance and other similar behaviors must be considered if courts use "friendly parent" theories. 13. The policy in this state and for the courts is to prevent domestic violence. Courts shall do everything in its power to make it safe for victims of domestic violence and their children to come to court. Courts must avoid being manipulated by abusers or to help abusers control or punish their partners for leaving. Prosecutors must obtain training about the common abuser tactic of making false criminal complaints against their victims. Prosecutors should attempt to speak with both sides if practicable and to use their discretion not to use the powers and authority of their office to help an abuser maintain control over the victim. Courts must seek to avoid retaliatory actions against mothers seeking only to protect the safety of themselves and their children. When courts believe the alleged victim has violated laws or orders it must also consider the benefits and harm to children that any action it might consider would have. 14. Large numbers of children are living with abusive and inappropriate parents as a result of common mistakes custody courts have made in response to domestic violence cases. In particular these courts have not relied on up-to-date research and have often relied on inadequately trained professionals. The new research available and recognition of the frequency of serious mistakes in these cases shall be considered a change of circumstances for purposes of petitions designed to correct the earlier errors even if the time to appeal has expired or the appeal failed. The court system may develop expedited, but fair alternate procedures to hear applications for correction of mistakes in earlier domestic violence cases. I wish you had been around when I lost my two peanuts to the man that broke my leg and jaw... and throws lit cigarettes at my children. Maybe then they wouldn't cry themselves to sleep. at night. In my case, the judge stated he had been an attorney/judge for 35 years, thus knew how to recognize an abuser, and my ex was not one! He has refused to listen to any testimony about child abuse, from medical doctors, psychologists, experts and the older children, who were the brunt of it. It all came out of "my imagination." Thank you for unraveling some of the complex layers of dangerous court practices when DV is a factor. This is a hugely important issue, and I applaud you for amplifying the voice and experience of so many mothers whose partners have chosen to be abusive. Thank you Barry! I can relate to dynamicdr's post. It's amazing how the courts allow and even collude in the continued abuse by the perpetrators and how there seem to be two burden of proof standards--all the abuser has to do is falsely accuse and it's believed even with mountains of evidence to the contrary; while the survivors have a burden of proof close to that in a murder trial. When you add to that, judges and magistrates who allow the abuser to file hundreds of motions to be filed in just a few months as well as those who order the survivor to work one-on-one with her abuser despite a restraining order and it's pretty easy to lose hope. But we can overcome this situation and we can change the system--we just need to speak out and refuse to be silent. Thank you Barry for your inspired articel. There are no words to describe how accurate this is worldwide- not just USA, but Canada, Australia, UK and especially Ireland. The logic of protective agency in ireland is-the child suffeed so much abuse and trauma that he/she needs ECT to burn out all memories of it, so then the child can be placed with his/her abuser.Yet this same agency told the judge no abuse had taken place.It is crazy.!!!! !